Previously I’ve wrote about design and implementation an UPSERT with SSIS. UPSERT is about Update existing records, and Insert new records. Today I want to extend this to cover DELETED records as well. So method used in this post can be used to find INSERTED / UPDATED / DELETED records from the source table and apply those changes into the destination table. In this example I used Merge Join Transformation, Conditional Split, and OLE DB Command transform to implement the solution. First we apply a full outer join on source and destination table on key column(s) with Merge Join transformation. Then we use a conditional split to find out the change type (removed, new, or existing records). Existing records will require another processing to find out is there any changes happened or not? We use another conditional split to compare value of equivalent columns in source and destination. Source table used in this example is Department table from AdventureWorks2012 sample database which you can download online for free. 2- Create another OLE DB Source for destination table. In this example source and destination has same table name but are in different databases. So we use same script as step 1 for this one as well. Name this component as Destination Table. 3- Right click on OLE DB Source, choose Show Advanced Editor. In the Advanced Editor window go to Input and Output Properties tab. Select the OLE DB Source Output, and change the IsSorted Property to true. 4- Expand OLE DB Source output, and then under Output Columns select DepartmentID. Then change the SortKeyPosition to 1. 6- Drag and drop a Merge Join transformation, connect two OLE DB Sources to this. Set Source Table as left and Destination Table as right input of this transformation. 7- Go to Merge Join transformation editor, DepartmentID will be used as joining column (selected based on sort properties of previous components). Note that if you don’t sort input columns of the merge join transformation then you cannot get into the editor of this transformation and you face the error regarding sorting of inputs. Used to find new records. And literally means records that has SourceDepartmentID but not DestinationDepartmentID. 9- Add an OLE DB Destination and connect NEW RECORDS output to it. Set configuration for destination table and use columns with Source prefix in the column mapping of the OLE DB destination. This destination component will insert new records into the destination table. delete from dbo.department where DepartmentID=? In the column mappings, map DestinationDepartmentID to the parameter of statement. 11- Add another Conditional Split and connect Existing Records output to it. We use this component to find only records that had a change in one of the values. So we compare equivalent source and destination columns to find non-match data. 12- Create a stored procedure in destination database to update the Department table. 13- Add another OLE DB Command and use non match output as the input data stream to it. Connect it to destination database, and write below statement in Component Properties tab’s SQLCommand property. 15- Run the package and you will see changes will be applied to destination table. I just build my required SSIS package using VS2005. Your article made my day. Keep up the good work. Thank you. Hi Reza, Very nice explanation. Thanks ABhas. Hi Reza, your explanation was great, but im having trouble with the stored procedure, every time a row gets into the update proc, the flow freezes and i have to stop it, any suggestions??? i dont want to make storedprocedure in my database. then how can i update records of table. if u created stored procedure then we can write only a merge statement for delete,insert and update in stored procedure. what the need of these conditional spilit and others..... so pls reply. i want to update records without creating stored procedure in my db. Great explanation. I found this article very detailed and understandable. It helped guide me in the direction to go for my package. The stored procedure helped me out too; rather than passing to generic param_0, param_1 I can see my parameter names which makes it a lot cleaner and easier to read. Hi, thanks for your article, it really helps. But, my requirement is I have to do the above approach for multiple tables(nearly 40) that is an entire database. So, what is the best way to do this? Thanks in advance for your help. Thanks! This post helped me a lot! I'm new in SSIS but I like it a lot I'm doing this with a source on Oracle and a Destination on SQL Server. 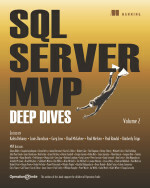 One catch I've had was with the Data Types nvarchar vs. nchar between the two tables on the Oracle and SQL Server. This makes the Merge Join step not to work properly.